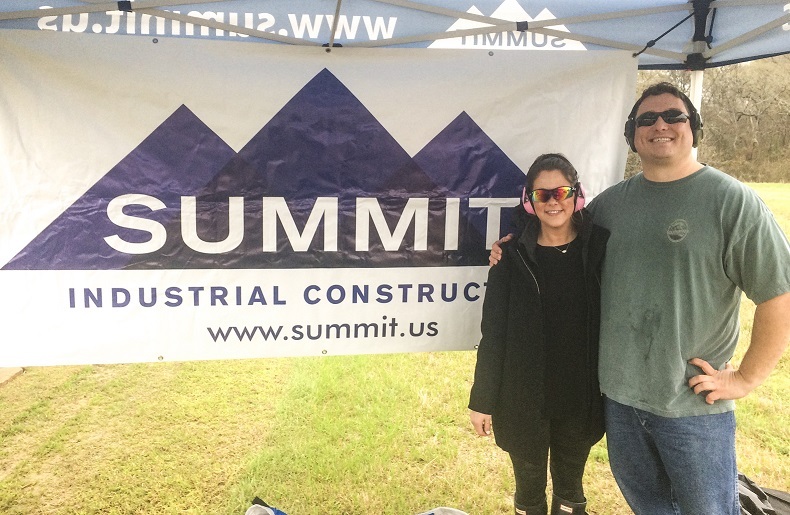 On March 1st, Summit sponsored a station at the Pipeliners Association of Houston Shoot Out. It was a great turn out, given the unexpected cooler temperatures. Lindsey Mehne covered the station for Summit Industrial. A great opportunity to give back to the PAH Scholarship, while making new friends in the industry. Lindsey pictured here with Chevron Field Engineer, Austen Paquette. To learn more about the Pipeliners Association of Houston, visit their website !